Despite the "best intentions" of Activision head Eric Hirshberg, the war of words, whether direct assaults or passive pats, continues between Battlefield 3 and Call of Duty: Modern Warfare 3. This time the fire comes from Infinity Ward's Mark Rubin, Producer on Modern Warfare 3, concerning the studio's effort to push and champion their new game's gameplay over tech. The alliteration Rubin is drawing here, of course, connects to DICE's Frostbite 2 engine at work in Battlefield 3. The graphical and technical prowess of the next shooter from EA and DICE have both been featured and headlined ever since the game's unveiling. "The landscapes have to be built out further, geometry and buildings that we never had to worry about are all of a sudden a problem, so there is a lot of tech that goes into being able to do these big cities. 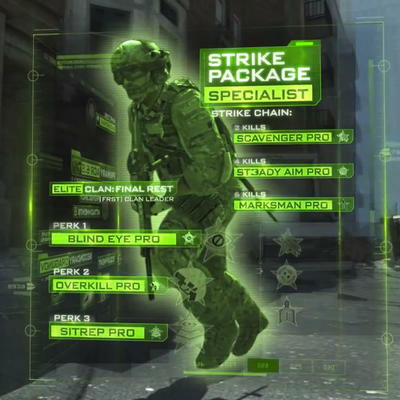 …We couldn't just take MW2, and put a bunch of big buildings in it – there was a lot of tech that went into it – so that just shows you one example of how the design drove a tech feature that we didn't have in the past…"
Rubin elaborates, however, on how that didn't necessarily make tech the chief focus for the studio. "Not necessarily what's the newest, hottest, cool shader, pixilation or sunlight; that kind of thing…We didn't really go that path. Gameplay is the most important thing we care about and tech will support that." Will that be enough for gamers? Personally, I love it when gameplay is championed over graphical feats. When it comes down to modern gaming, titles are only as beautiful as they play. Battlefield 3 could feature the slickest coat of paint the world has ever seen; but, if it packs horrible gameplay within, it can't possibly be marked as a great game. The problem here? Battlefield has always been built on great mechanics and gameplay. DICE does that well in the arena of multiplayer shooters. It's great that Rubin and Infinity Ward are so pumped about gameplay, but to assume that their competition is all about graphics and not mechanics is a bit nutty.